Luke Ayling missed more than a month of football last year due to injury, and Leeds United were glad that he came back fit earlier than expected. However, the experienced right-back has struggled with his performances of late, and we wouldn’t be wrong in assuming that quite a few fans would rather see the youngster, Jamie Shackleton occupying the right-back spot in Marcelo Bielsa’s first-team. However, the Argentine manager gave a big vote of confidence to the player and praised him for his overall abilities. The manager was quoted as saying (Yorkshire Evening Post), ”For me Bill Ayling is a great player, he is a complete player. When I say complete I mean he can manage all aspects of the game, he can defend as full back and as a centre back. 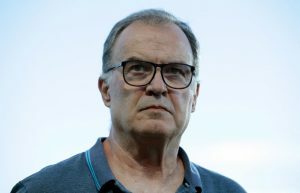 It seems like Bielsa is also acknowledging the drop in form of the right-back as he mentioned that the fullback is performing at the grade of 6 points. One of the areas where the right-back has struggled is while going forward. Ayling has often been sloppy in possession and has given the ball away cheaply in dangerous areas. The way Leeds United commit so many men forward when they have the ball means that throwing possession away in midfield will leave them very vulnerable on the opposition counter. The Whites have conceded a lot of goals over the past few games because of their own undoing instead of the opponents creating a chance for themselves. In modern football, right backs are often expected to attack, and their defensive abilities are often considered as a secondary parameter to judge their effectiveness. Ayling has even filled in as a centre back when required, and the 27-year-old often reads the situation well defensively. However, we think Bielsa can give Jamie Shackleton a chance in the first team after he has impressed in his cameo appearances from the bench. Shackleton is currently in his first senior season so one can understand why Bielsa is sceptical of using him as he is relatively inexperienced compared to Ayling. However, Ayling looks jaded and sloppy on the ball and maybe some time off will help him regain his form at Elland Road. However, given Bielsa’s recent comments, it seems like he is going to stick with the experienced Englishman for the time being.